The “four” hour drive from Kampala to Gulu, Northern Uganda was more like eight due in part to dusty, potholed roads that had seen better days. The outside breeze rushing through the windows in the big, nasty, dirty bus barely offered any respite from the humid air that kept my back in a perpetual state of wet. Over the eight hour journey, my bright white top turned a new shade of earth that no amount of bleach could help. All I could do was smile. I loved it. Uganda. Africa. We reached our cozy hotel that was to be home for the next week. An attempted shower to wash my dirt streaked face and make sense of my tangled hair was almost more than I could handle. This girl was exhausted. The bed shouted my name, and I gave in. Dino was our destination the next morning, a two hour journey from Gulu town in Uganda. I don’t think any amount of sleep could have prepared me for what the day brought. Let me set the scene for you. Mud huts with thatched roofs. Green, green rows of corn stalks. Kids wearing tattered clothing and looking at this mzungu like she was the craziest thing they had ever seen. This was the “typical” Africa that people picture in their heads, and here I was standing in it. I wanted to take in every single bit of it, because it was stunning. The other side of the dirt path made me feel like I had stepped into a World Vision commercial. Hundreds of people waited in lines all day to see the doctor and dentist. The screaming children and moaning adults made me want to cover my ears and run away. It was overwhelming. It took some digging, but it was there. 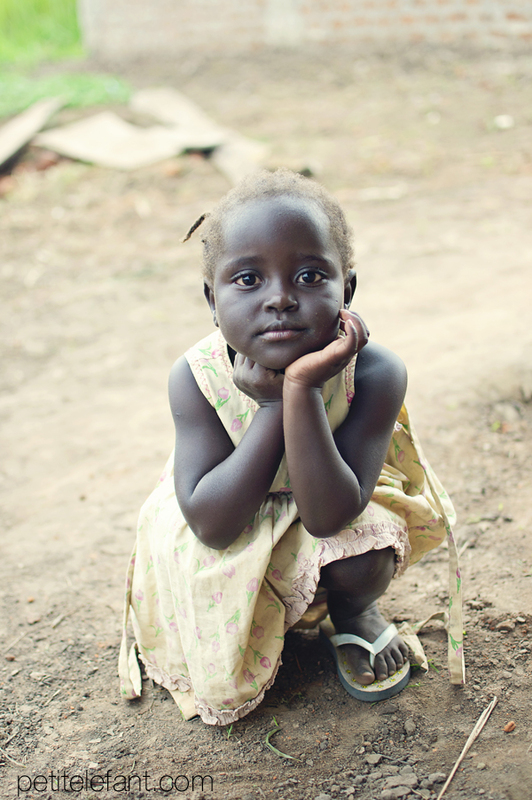 I saw hope in the eyes of Leah, the little girl who became my shadow for a few days. I saw it in the grannies I would sit and talk with as they sold peanuts. I saw it in the mama’s whose hearts wanted more for their kids. I saw it in the souls who faced life with such admirable bravery. 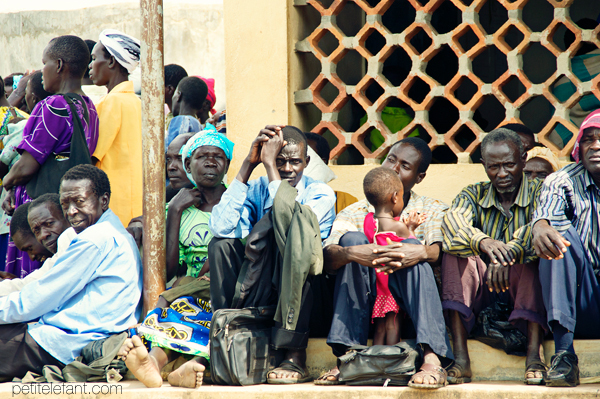 This two week trip to Eastern Africa wasn’t just a photography job. It was an opportunity to go to a country filled with some of the most hospitable people I know, an opportunity to go to a place that is dear to my heart. It was an opportunity for my world to get rocked, leaving me forever changed. It was an opportunity for me to look for hope in the most dire of situations. Your photos are stunning. 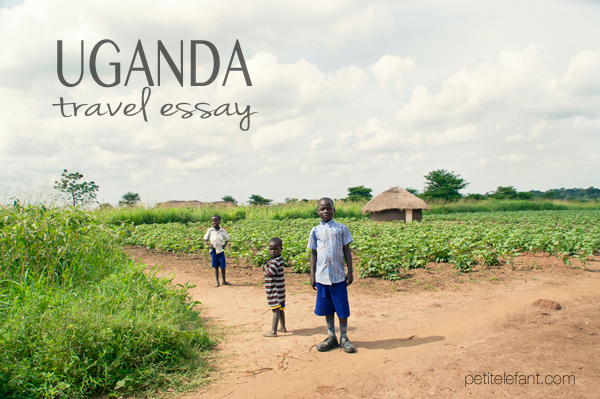 I almost went to Uganda when I was with the Peace Corps in the 90’s. Ended up going to Ecuador instead, which was amazing. I’d love to get a closeup look at those thatched hut roofs, always fascinated by how waterproof they really are. Thank you, Carol! 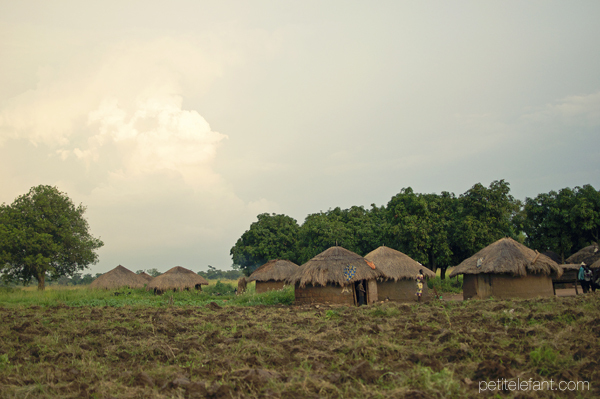 Uganda is seriously one of my favorite places. An older gentlemen showed me how they make those thatched roofs. It’s so amazing the process and how they use what’s available to them. If you ever get a chance to go, do it! I love your article. We spent a month in India, Thailand and Cambodia early this year on a fair trade buying trip. You describe the contrast of beauty and senseless pain, inspiration and overwhelm so well. Uganda is on the list for a future trip and I am looking forward to seeing it in person. Thank you, Kari! I love India! I’ve been there twice. Indian is one of my favorite foods ever. You’ll love Uganda. The people are incredibly hospitable. So fun that you get to do fair trade buying all over the world! I adore your photography. Thank you for bringing a piece of your trip to us!